How Joomla is Beneficial for Developing Business Website – Nowadays, Joomla is one of most wanted CMS in this world. There are so many reasons why people preferred for choosing this platform such as because of the system support availability that is free, flexibility and also users friendly. Joomla hosting can be running well on all the operation system, whether for Linux or Windows. It is also compatible with all the kinds of web hosting such as the shared hosting or dedicated web hosting. Joomla will make all the users are possible to build many online application and websites such as a company website, a job portal, intranet, ekstraner, community portal, family portal and also the private website. 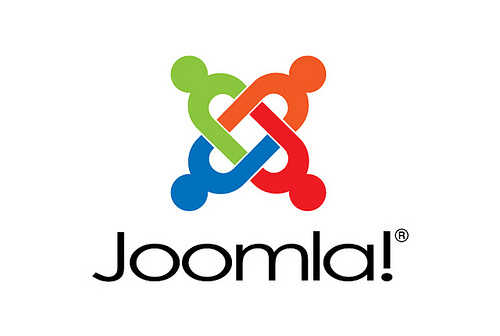 Joomla is also possibly the experts for making some supporting system on their websites based on their business needs. Some hosting companies are also offering e-commerce feature and tools that possibly clients to modify the products’ lists, control, report data display and many more. There will be a massive control access in Joomla. On this case, we are talking about the security and presentation. You will be able to create a site as you dreamed with the help and support from professional. If you found any difficulties, you will get some tutorials for Joomla in any book stores. How Joomla is Beneficial for Developing Business Website? It can be beneficial because you will get a full support from the World Joomla community. This support is really essential for your business. You will get more links for your business as well. Joomla is an open source software that has a wide community from all over the world that is consisted from developers who offer some helps and support in using the Joomla hosting. The next reason on How Joomla is Beneficial for Developing Business Website is about the great supports that Joomla gives. Joomla is well known because this platform support for about 2100 extensions and this feature is possibly the client for modifying the content from their website based on their business needs. This also supports all the kinds of multimedia files, whether on audio or video format and a good function on MySQL that means it can use all the features. Those are some best features that are given by Joomla. It seems that Joomla gives a lot of supports that become the requirements for all the kinds of businesses. It can be seen from the really easy usage (users friendly), the availability of free added extensions and its ability for making any kinds of websites that a client wants to have. So, is it the best CMS for your website? You better try then. WebHostForAsp.net Linux Hosting starting from $2.99/month and you will get Storage Space 5 GB, Bandwidth 50 GB, 2 Websites, Unlimited MySQL 5.5 Database, UNLIMITED Domain, and UNLIMITED Sub Domains.